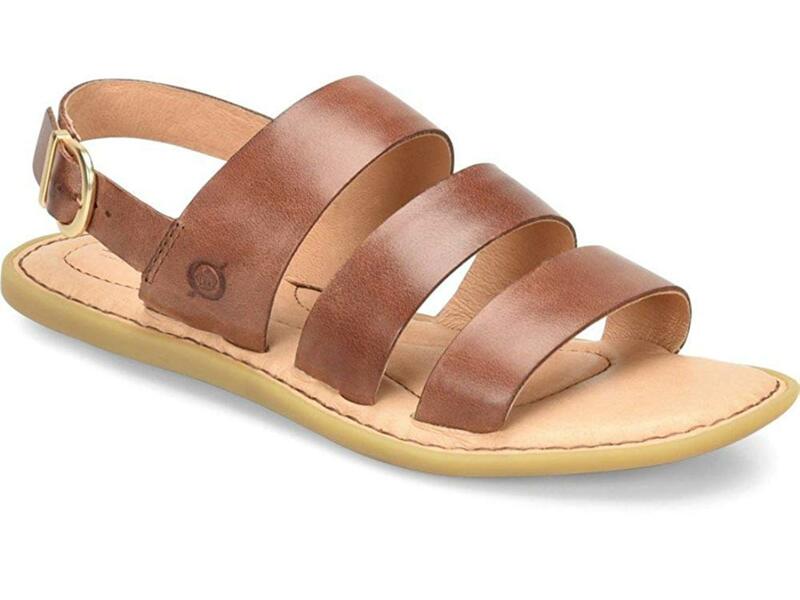 A multi-strap sandal with clean, leather straps. Crafted with the best leathers, faux leathers and sustainable materials, B.O.C Footwear is famous forthe fashion forward, trendy but comfortable shoes they make. Their designs embody the free-spirited woman that is comfortablein her own shoes. B.O.C Born Concept footwear designs makes everything from flats to high quality boots. Their leather clogs arelightweight and made for comfort to wear all day with your casual outfits and dresses. Born Concpept'sleather and espadrille canvas flats are meant to be wornwhen you have a busy lifestyle. Their wedge sandals and flat sandals will make any casual dress look chic and modern, and their leather and faux leather utilitarian boots will keep you looking classic and cozy in the cold winter months. / Buy with confidence! B.O.C Womens footwear would make a great addition to your shoe collection!